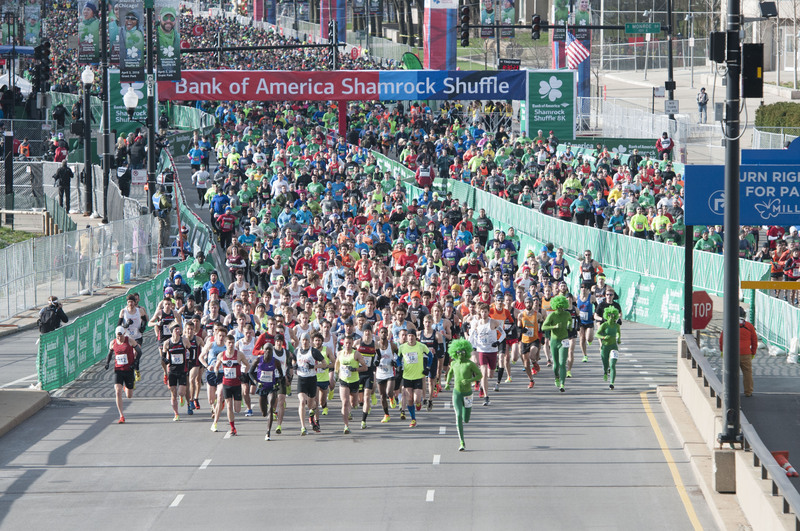 The Shamrock Shuffle 8k is a huge celebration of the beginning of running season. It is the world's largest timed 8k, starting and finishing in Chicago's Grant Park. Runners feel the energy of over 30,000 runners and a big cheering crowd (present during the entire course. )The excitement lasts throughout the after-party, where participants find beer, food and live music. The flat and fast course is home to many personal bests and world class performances, including the women's American 8K record (24:36) set by Deena Kastor in 2005, and the course record (22:35) set by Kenya's James Kariuki in 1998. Thousands of runners kicked off the spring running season under ideal race conditions at the 38th annual Bank of America Shamrock Shuffle 8K. 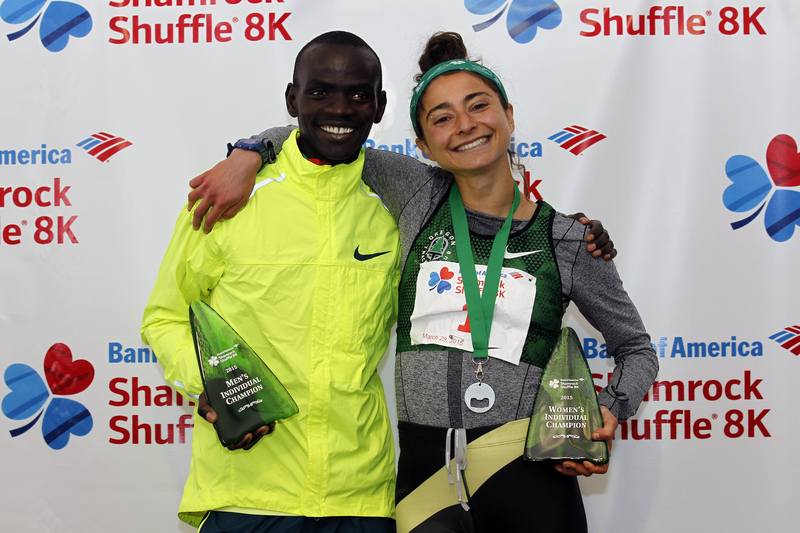 Grant Park turned green as defending champion, Stephen Sambu, 28, of Tucson, Ariz., sprinted away from the men’s field, breaking the tape in the event’s sixth fastest time ever, 22:47. Two-time Olympian Kim Conley, 31, of Sacramento, Calif., took advantage of the 45 degree temperatures to run away from the women’s field, winning by 59 seconds in 25:43. 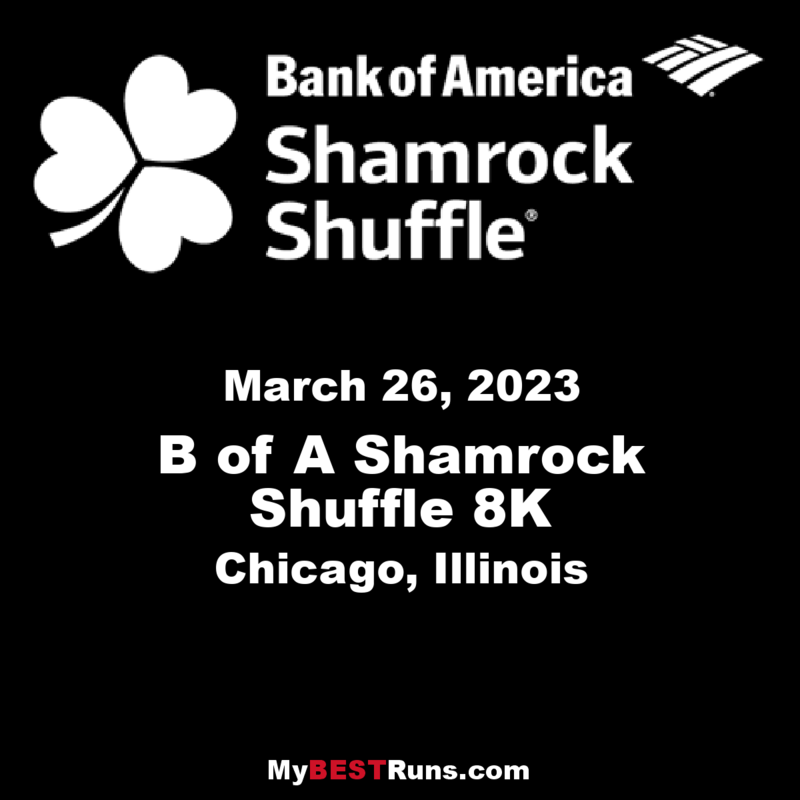 The Bank of America Shamrock Shuffle 8K is one of Chicago’s best running celebrations, with a one-of-a-kind course! The Chicago tradition continues the St. Patrick’s Day celebration and kicks off the spring running season in Chicago. The run’s unique 8K (4.97 miles) course weaves its way through downtown Chicago, starting and finishing in Grant Park. Not up for the run? Join the walk! Walkers will be treated to a scenic 2 mile course along Chicago’s lakefront, starting and finishing in the same location as the 8K run. 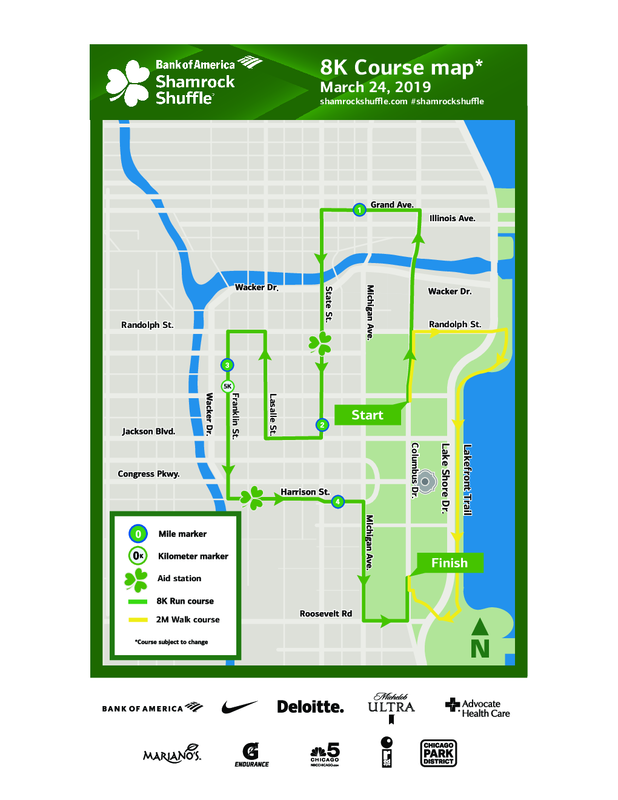 The walk is a perfect introduction to the Shamrock Shuffle and is ideal for aspiring runners or those looking to take part in the celebration without tackling an 8K (4.97 miles).